One of our favorite brands in the country is now available on our MED side! 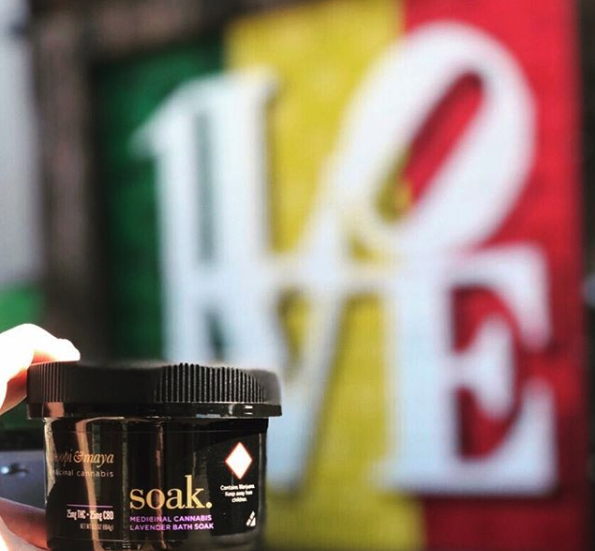 Whoopi & Maya‘s 1:1 (25 mgs THC to 25 mgs CBD) Soak is now available. Soak’s pharmacological grade Epsom Salts are coupled with relaxing Lavender, skin nourishing carrier oils (such as avocado seed oil, jojoba oil, and apricot kernel oil), our blend of therapeutic essential oils, and consciously sourced cannabis extracts. We recommend soaking for at least 15 minutes to allow the nourishing oils, Epsom Salts and cannabis to work their magic. Soak up the good vibes and your skin will thank you later!